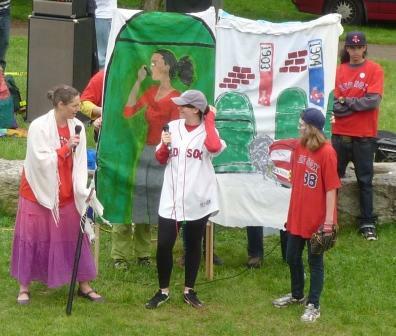 Fictional Red Sox players and their families from the Dominican Republic were the center of attention in “Hot Sox,” BostonCAN’s skit created for Connect the Dots, Climate Impacts Day on May 5th. The skit highlighted Boston kids having more asthma attacks due to the increasing number of bad air quality days that hotter summers bring, sea level rise at the Sox training camp in southern Florida, and hurricanes in the home country of David “Big Papi” Ortiz and many other Red Sox heroes. 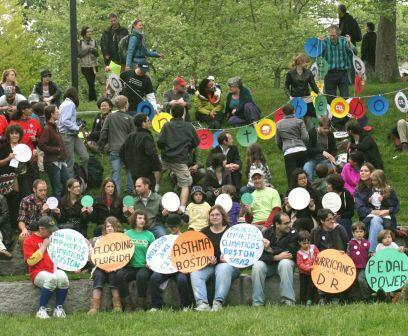 Over 80 people came out to see the skit at the Wake Up the Earth festival in Jamaica Plain. A wonderful crew of volunteers stepped up to take on whatever responsibilities they could. The actors included Larry, ET, Grace and Isabel; Jack and Andree worked on the script; Andrea led the set making crew of Reita, Monica, Stef, Mary Ann, Bryan, Ray and others, Judy led the singing team of Ninya, Jan, Bob, Terry and Mike, and many more folks helped in different ways. You can see a video of the skit on BostonCAN’s YouTube channel, and more photos on Flickr and Facebook. 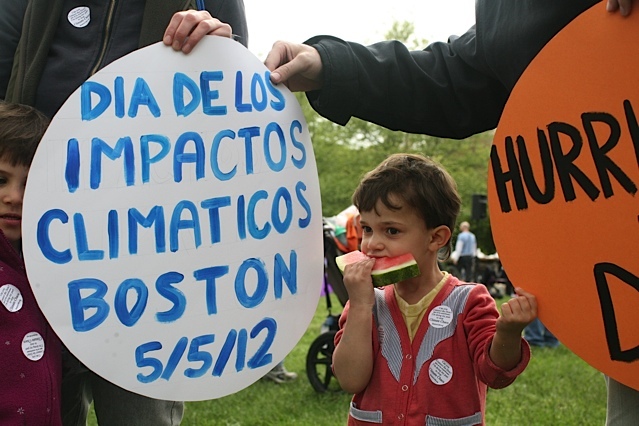 Photos from all over Massachusetts are posted at http://350ma.org/2012/05/were-connecting-the-dots-massachusetts/ and worldwide at climatedots.org. To stay informed about the next international day of climate action, sign up at 350.org.